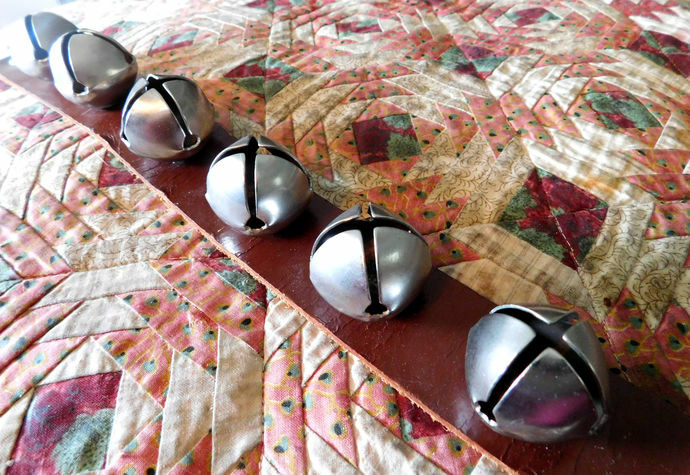 Here are six old, beautiful pre-1940 'petal' sleigh bells mounted on a leather strap. There are 6 bells here, all in the same size, securely attached with strong, silver-tone rivets. 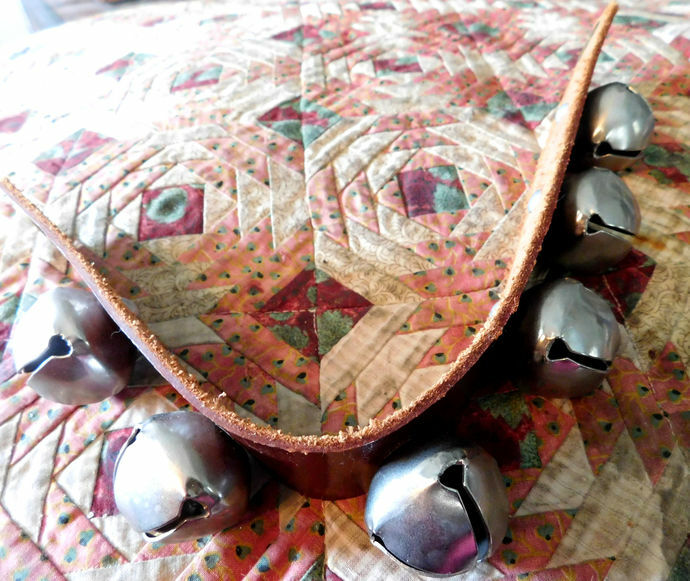 These are cast 'petal' bells; double-throated [that's the name for the slit cut across the top of the bell], which ends on the side in a larger circular opening. I can find no markings on any of the six bells, but this is not unusual. I can identify them by their size - #2 bells (approx. 1.25" [3.2 cm] diameter). I have not polished them, but photographed the bells and strap as found. The bell color is a warm, burnished silver-tone. The color, size, and thoating indicate a dating pre-1940. 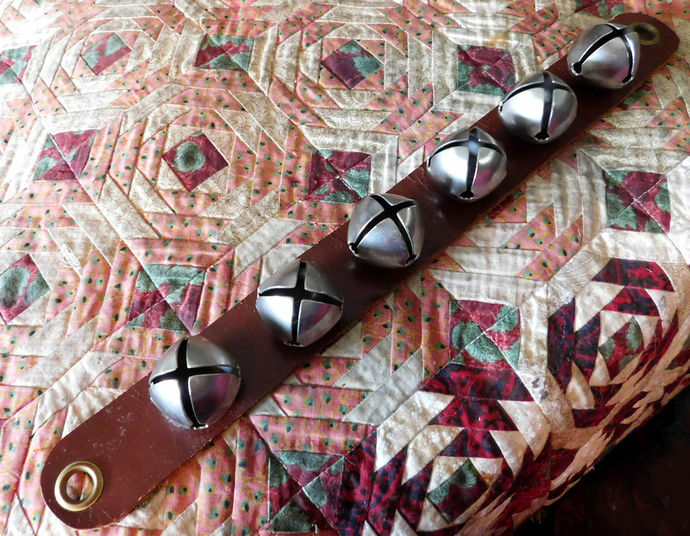 The strong harness leather strap measures 15" [38.1 cm] long and is 1.5" [2.5 cm] wide The bells make a lovely resounding, chiming holiday sound - You'll be certain Santa is near! Very little discoloration is seen on the bells and I can find no dings or dents on the bells. 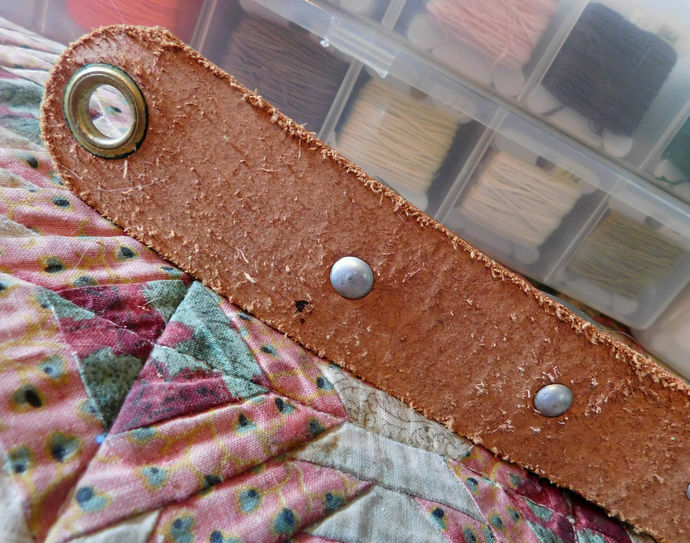 The leather strap shows gentle age and wear and is in lovely, strong condition with no rips, cuts, or splits. There are two off-centered grommet holes measuring approximate .375" [1 cm] at the top and bottom for hanging. Please see my photographs for the condition of all. Hang them from your shop door to merrily greet your customers, wait until the kids are asleep and ring them outside to announce Santa's arrival, hang from the fireplace mantel as festive Christmas decor - there is nothing more festive than hearing that gentle ring at the holidays! 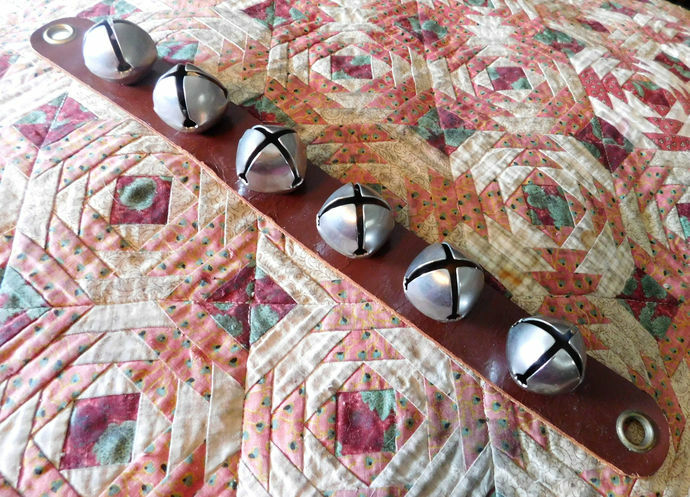 You are purchasing a harness leather strap set of 6 petal, double-throated sleigh bells. I will ship this to the Lower US 48 with USPS Insurance and ship to all US locations with USPS Delivery Confirmation. 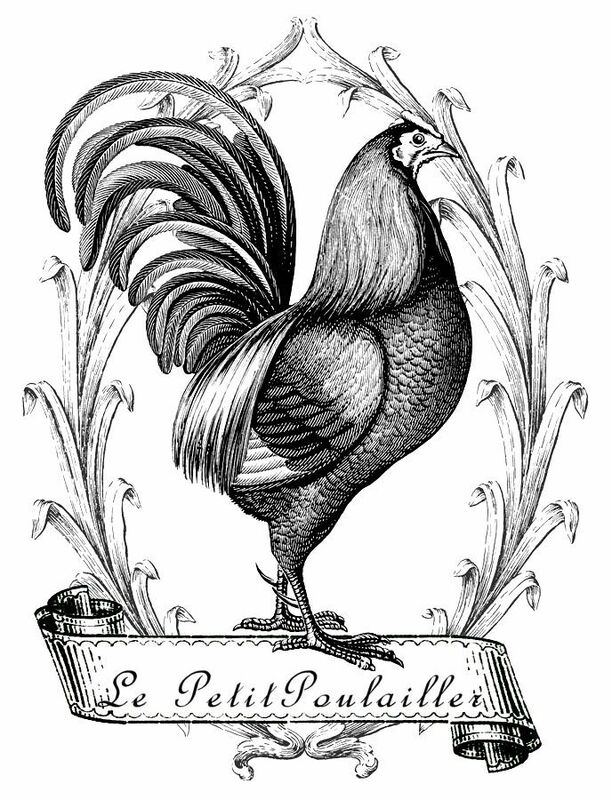 PetitPoulailler - Your Postman Will Jingle!